We're only a day away from the release of Evolve, the new co-op shooter from Turtle Rock Studios (check out our review here!). If monster hunting isn't your thing, or you're just trying to kill some time with your buddies until Evolve is playable, we've got you covered. These eight games are fun to play alone, but they really come into their own when you grab a friend or two and play together. Got a personal favorite you don't see here? Tell us in the comments! 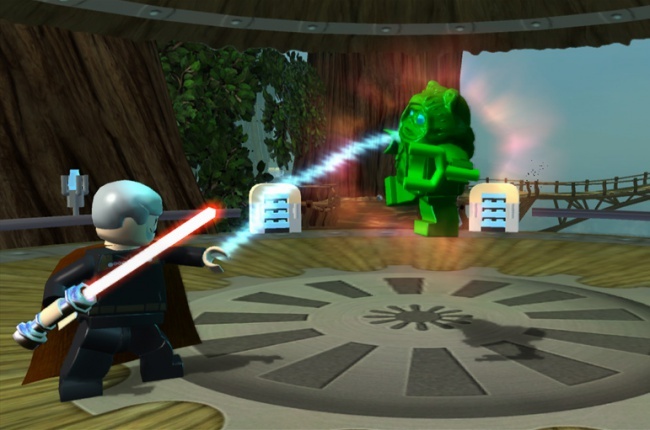 All of the LEGO games are great co-op titles, but something about LEGO Star Wars sticks with me more than others. Plus, it's Star Wars. You can play as just about any character from the series you want. Despite the lack of dialogue in the cutscenes, they seem to capture everything about the films, with a bit of a comedic twist added in. It does lack the dynamic split-screen that came to later LEGO titles, but LEGO Star Wars: The Complete Saga is still a great way to spend some gaming time with a friend.